Slinger Pig The MultiPet Slinger Pig is a multi-use canvas toy that can withstand heavy chewing. 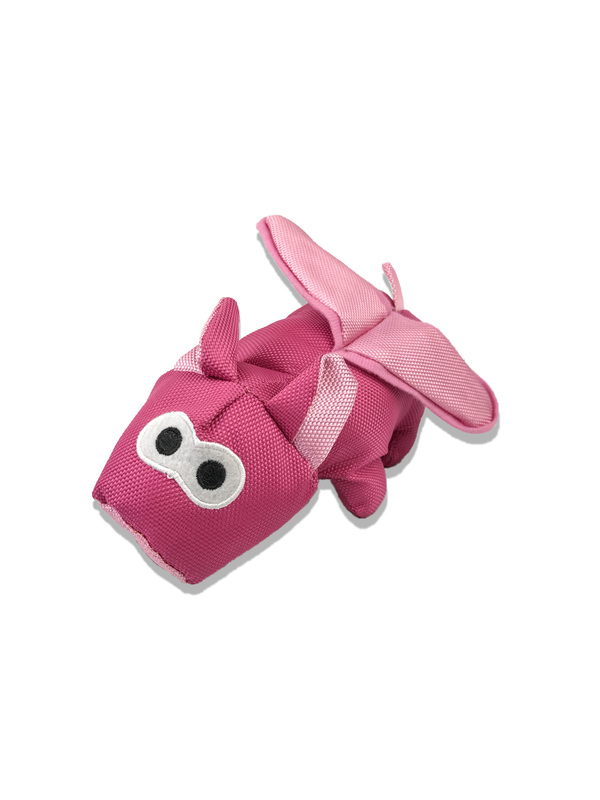 The Slinger Pig floats in water and is water resistant - great for both indoor and outdoor play. The Slinger Pig will stand up to heavy chewers and is the perfect toy for both active and passive playing for dogs of all ages. This durable canvas toy is designed with outdoor play in mind, with bright colors easy to find just about anywhere. Main Benefits: Durable canvas material Water resistant Floats Great for games of fetch! We have 4 dogs... 2 larger boxer mixes and 2 smaller spaniel/ havanese mixes. Most anything with a sqeaker is destroyed within hours as several of the dogs seem to be obsessed with retrieving and "killing" said squeaker.